Razee Mohammad Fakhrul, the upazila chairman of Debidwar, Comilla, comes from a family that has generations of political participation ingrained in its lineage. His maternal grandfather Ahmed Ali Sarder was a Member of the Pakistan National Assembly. Father AFM Fakhrul Islam Munshi, now an advisory committee member for Prime Minister Sheikh Hasina, served the shipping and finance ministries during HM Ershad's tenure before embarking on Awami League and becoming an AL lawmaker twice. 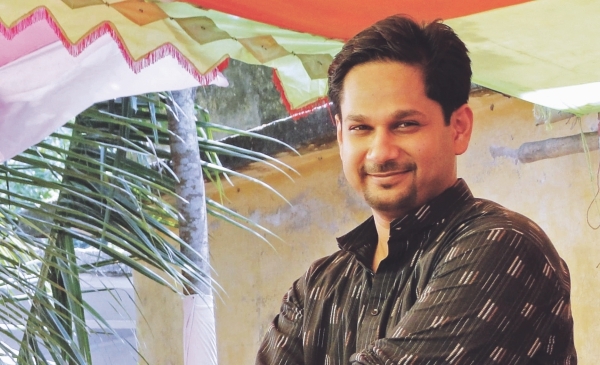 Majored in Accounting from the US in 2003, Razee's story of becoming one of the youngest upazila parishad chairmen was partly coincidental though. As the parliamentary election was approaching in 2008, Munshi had fallen ill. An aide to his recuperating father, Razee went to Debidwar and did some informal campaigning for him. Convinced, the local people recommended that Razee be introduced into politics in the upcoming upazila parishad election. So, at a time when our young generation is repulsed by belligerent political trends pervading all across the nation, what made Razee sail into such troubled waters? “If we all hate politics and leave then one day you will find the country without a prime minister. Although I am inexperienced, local people are very forgiving towards me, which is an advantage of being a young person I believe. I have an opportunity to learn from the experienced colleagues while they are keen to try and incorporate new things; it's a win-win situation,” says Razee, on the brink of passing three years as an upazila parishad chairman. Razee goes on saying about the country's politics that 41 years have passed since independence and Bangladesh is not a young nation anymore. “It is not the basics of the politicians that are wrong; it is the basics of the country and the policies that are wrong,” he says adding that dialogues and debates must bring positive changes in policymaking. It may be that Razee was right to underscore the need for changes, but his observation contradicts the widespread 'fact' that regardless of policymaking, the basics of the politicians are wrong and allegations of corruption against them are rife. As regards the local government, several media reports highlighted this year that local lawmakers had unduly influenced local governance, despite the fact that the Upazila Parishad Act, 1998 vests the upazila chairmen with executive power. In September, The Daily Star editorial brought into attention studies conducted by the Centre for Urban Studies and Unnayan Shamannay, that have shown such interference is hindering the upazilas and union parishads from functioning properly and that the upazila parishad's weak financial status is keeping it subjugated. Earlier, at two conventions in January and April in the capital, union parishad chairmen, councillors and opposition party MPs objected to such interference by the government. “Now if a letter arrives from the disaster management ministry, with an order consistent with a lawmaker's advice, what would an upazila level officer do? His hierarchy has ordered something that he has to carry out,” he exemplifies. The young politician recommended decentralisation of urban growth and devolution of administrative power. “There are no growth centres outside Dhaka city for which the capital is overburdened in every aspect. People are arriving for a living every day. On the contrary, if the upazila parishad level and local administration were more empowered and self-reliant, people would prefer to stay and contribute more to the local economy,” he suggests. Razee refers to a 1983 study that revealed at least 2000 growth centres developed after the first upzila chairman was elected that year for which people preferred to stay back and make a living within their neighbourhood. After the upazila parishads were abolished in 1991, people tended to become Dhaka-bound again. He restates that if the upazila parishads were active throughout all those years, more people would have stayed at upazila parishad levels and take part in developmental activities. But he observes that Bangladesh is not a middle income country for which the upazila parishad level cannot just become completely financially independent. “The upazila parishads should be given the authority to directly receive aid from international lenders so that they can develop their own systems. If that is not possible then at least the government can channel aid to local administrations from international lenders,” Razee adds. Recently awarded with the e-service Innovation Award for his contribution to step up information technology in his upazila, Razee humbly says that several pilot projects including Multimedia Classroom, default web portal formats for district, upazila and union parishad were initiated in his upazila. “My only contribution is that I could introduce some IT-specialised projects and transform some existing systems onto the IT platform. It became very easy for us to publish news and speed up the flow of information in the upazila. For instance, we now mail the journalists with news of events with an attached photo,” he adds. In his opinion, Bangladesh stands third in freelancing in IT in the world, after the US and India. “I have been trying to employ young people into freelancing and outsourcing but I still do not have the required bandwidth,” he says. The young politician believes that everyone from a pin maker to an airplane maker in this world now has a specialisation. He has narrowed his boundaries to work with the youth especially and promote IT platform in line with the government's vision of a Digital Bangladesh. It is hoped that he keeps up with his goals.